Wow! What an event! And it was free!! 14,000 yoga lovers flowing in and out of Times Square NYC to honor the Sun! It was literally the hottest day of the year in NYC with temps reaching 95 degrees! We were dripping with sweat before we even started! The event was divided into 4 sessions of yoga classes, taught by four different teachers. When I saw that Dana Flynn was teaching, I quickly pre-registered for her session and recruited a friend to join me. Dana Flynn is the co-founder of the Laughing Lotus Yoga Center, she’s been recognized nationally for her teaching and style of yoga, which she calls Lotus Flow Yoga, and is an absolutely inspirational, energetic, brilliant, and visionary source of yogicness. I feel so blessed to have been in her presence (well…sort of in her presence). So…imagine Times Square…loud, smelly, flashy, strobe lighty, crowded. Now, imagine Times Square with 14,000 yogis chanting OM, saluting the Sun and laying in Savasana. It was amazing! I was breathless and almost crying 5 minutes in. The power of that many people coming together as a family to find peace and celebrate yoga and LOVE in such a chaotic place was moving. The event was organized so well that you didn’t even realize there were that many people being packed in. And we even got tons of free stuff (food, water, yoga mat, reusable bag, key chain) thanks to some amazing sponsors. The main stage where Dana and two Laughing Lotus demonstrators taught from was visible to all of Broadway on one of those jumbo screens used for advertisements. The only glitch was when the audio cut off about 1/3 of the way through the class. When it came back on, it was very difficult to hear her and her awesome playlist. But, it didn’t matter. The crowd followed along as best they could and if they couldn’t hear something, they looked up and had thousands of others to follow. It was a lot easier then I expected to drown out the “noise” of the city. I honestly had no idea if cars were passing by, if tourists were taking pictures of me, or if I was standing on a dirty street or my yoga mat. I just moved. The theme of class was LOVE. We chanted OM and Lokah Samastah Suhkino Bhavantu (May all beings everywhere be happy and free)…thousands of us…chanting in Times Square! If you know a little but about Dana Flynn, you know that she uses music creatively to support the theme of class- no matter if the songs are considered “yoga music” or not. Her whole playlist were songs you can hear on any urban radio station today. We were boogieing from the front of the mat to the back. Thank you Athleta for such a genius event and thank you Dana Flynn for the experience of a lifetime! 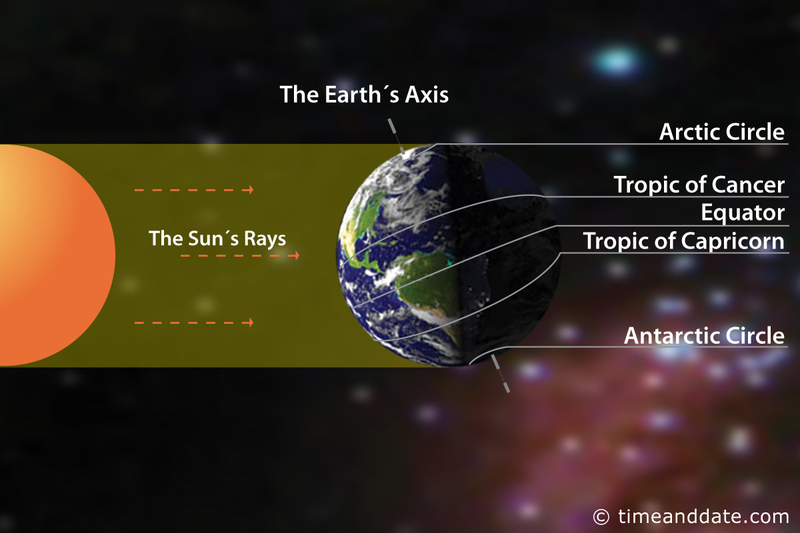 Summer officially begins here in the northern hemisphere with the Summer Solstice on June 20, 2012. I’ll be celebrating, along with thousands of NYC yogis, in the heart of Manhattan’s Times Square on Wednesday evening. I did some research to get to the bottom of the big deal about the solstice. This will be my first solstice yoga event and I really didn’t know anything about its significance! The word solstice comes from the Latin solstitium (from sol (sun) and stitium (to stop)), reflecting the fact that the Sun appears to stop. On solstice day, the Sun does not rise precisely in the east, but rises to the north of east, and sets to the north of west, allowing it to be in the sky for a longer period of time. It is directly overhead at its most northern point at 12:00 noon, which creates more sunlight (in the Northern Hemisphere) on this day then any other (making it the longest day of the year). A review of history shows that many cultures associated the summer solstice with a renewal of mind, body and spirit. The Sun represents fire, detoxification, and purification. More sunlight=more solar energy= transformation! The day can be considered the turning point of the year, the half-way point, so it is a good time for reflection and meditation. I remember my first time well…It was my second year of yoga practice and I just had made the jump to the intermediate level classes. One of my favorite and most influential yoga teachers ever, Malissa Larson, had led us through a strong sequence and now we were down on the mat holding a nice long crescent lunge. Then came the transition to 1/2 split, and another long hold. I had no idea where we were going when Malissa cued us all to set up a blanket on the floor in front of our mat. She demo’d the pose so gracefully- a full split! I would come to later learn the pose in Sanskrit, hanumanasana– named after the Hindu monkey deity, Hanuman. It was the greatest leap ever taken. The speed of Hanuman’s jump pulled blossoms and flowers into the air after him and they fell like little stars on the waving treetops. The animals on the beach had never seen such a thing; they cheered Hanuman, then the air burned from his passage, and red clouds flamed over the sky . . . It was now my turn to attempt to slide my front foot forward on the blanket- sliding into totally unknown territory! “Whoa! OMG! Where the heck are those blocks?!? !” was all I remember thinking. I propped my hands up on blocks at the highest setting and took the deepest breaths I could muster. I think I held the pose for 4 or 5 choppy breaths and slid my way back to safety. I couldn’t believe I had just attempted a split! I was so new to yoga that I did not even know this asana existed. I told myself I would never be able to fully achieve the pose so I forgot about it for a long while…until teacher training. Which is when I decided that it was within my grasp. All it would take was A LOT of practice and learning to properly prep. I googled the posture often and read all I could about Hanuman, the meaning of the pose, and a million different teachers’ views on how to prepare for and enter the pose. I have recently become comfortable enough to have taught the posture in a couple of my yoga classes. After one class, I asked how many of my students had attempted the full split for the first time that day. The majority raised their hand. I was pleased to be their “first”! Until one young girl jokingly said, “first and LAST time…” At least, I hope she was joking. But, I knew exactly what she meant! On my best, most flexible, well -prepped day, my hanumanasana involves a block placed on the lowest setting under my front thigh. Quite an achievement for someone who swore off the pose years earlier. Warm-up with lots of low intensity hamstring (group of muscles at the back of the thigh) and hip flexor (group of muscles that bring the knee upward) openers. Incorporate hamstring openers into your Sun Salutations by placing standing splits (urdhva prasarita eka padasana) where you would step back to a lunge and step up from a lunge (USE BLOCKS!!!). Standing sequence including Lunges, Warrior I (Virabhadrasana I), Triangle pose (Utthita Trikonasana), and Extended Hand to Foot pose (Utthita Hasta Padangustasana). Twists of your choice. I like revolved chair (Parivrtta Utkatasana), step back to revolved lunge (Parivrtta Parsvakonasana variation with back heel lifted), drop and walk-in back heel & open arms to revolved triangle (Parivrtta Trikonasana). Backbending opens the hip flexors (counter your backbending with some simple twists on the back or “windshield wipering” the knees). If you have time for hip opening, take a lizard or pigeon. A final nice long hold in crescent lunge or dynamically moving between crescent lunge (on the inhale) and 1/2 split (on the exhale) for several breaths is important before prepping your blanket. Soar into Hanumanasana…and, please, use props!!! Hanumanasana is named for Hanuman, who represents friendship, devotion, courage, and faith. Remember these qualities during your practice and enjoy your journey!